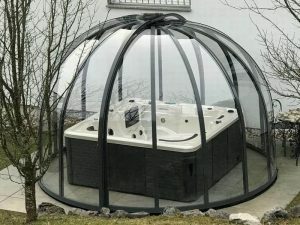 It does not matter if your spa has a round square shape. 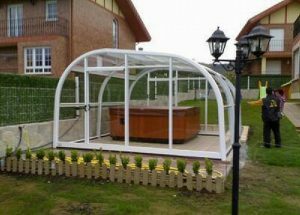 Nor should you worry about the arrangement since the covers are prepared to adapt to each of the spas and places where you want to install them. 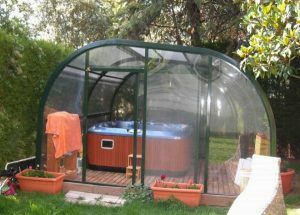 Enjoying the benefits of the outdoor environment from an indoor space allows not only to fully utilize the possibilities of your spa, but also provide wellness moments 365 days a year. 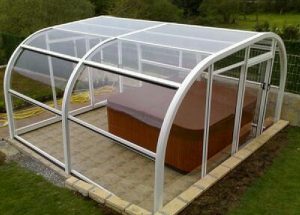 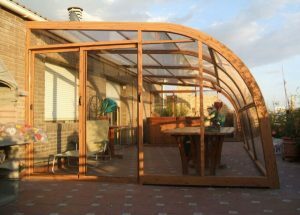 We can design and produce of enclosure structure that works best for your spa. 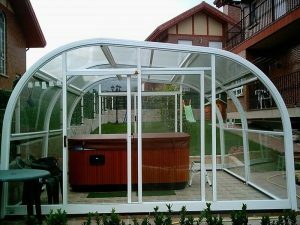 The wide variety of openings and access systems, as well as the opportunity to customize the finishes, make this a viable option if you want to enhance spa experience.